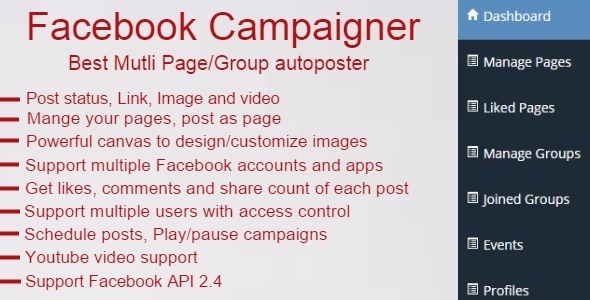 Facebook campaigner is a simple and user friendly application that helps you to market your products/services/blogs in 1000s of groups, pages, events, profiles with single click. Getting more and more traffic to your website thus increasing your sales. Create a Campaign in a minute and relax.